We now introduce the general terminology used throughout the library. A molecular structure is a representation of one or more molecules made of particles , namely atoms, or pseudo-atoms for coarse-grain models. The description of a molecular structure has two components: the Molecular Geometric Model and the Molecular Systems, as described below. Molecular structure = Molecular Geometric Model + Molecular System. By molecular geometric model , we refer to the three-dimensional arrangement of the particles constituting a molecule or a complex. representations based on Work Package: Space Filling Models, i.e. collections of balls. representations based on Conformations, i.e D-dimensional points with Cartesian or internal coordinates. For the input / output operations on these molecular geometric models, see section Conformation Loaders . In the SBL, models are typically used in applications gathered in eponymous parts. For example, space filling models, defined in section Work Package: Space Filling Models, are used in the part of the library using such models i.e. Space Filling Model. A molecular system is a grouping of the particles of a molecular structure. Such grouping are used when the groups formed have specific properties, or when one wishes to investigate interactions between such groups. Given a molecular structure, a set of labels , together with a mapping from the particles to the set , the molecular system associated to a label is the set of all the particles having as label. The labels may have a hierarchical structure, in which case they are represented as (a forest of) trees. In that case, we distinguish between primitive labels and hierarchical labels. The set of all primitive labels is denoted , and given a label , the set of primitive labels in the sub-tree rooted at is denoted . Note that if is a primitive label, then . Given a list of particles , induces a unique partition of , so that the particle classifier associated with is the mapping from to the list of all primitive labels : . In this respect, the molecular system associated with a label , system( ) for short, is the pre-image of under the particle classifier , i.e . As a simple example, one may consider a set of labels composed of the names of the chains of a protein complex whose structure is stored in the PDB format. In that case, each polypeptide chain defines a molecular system. Such labels may be used to study the interface between the proteins defining the complex, using the program Space_filling_model_interface_finder from the application . Practically, a number of classifiers defining molecular systems are provided. These classifiers follow a generic pattern (a C++ concept to perform a hierarchical decomposition), as defined in the package MolecularSystemLabelsTraits. In the SBL, each particle is annotated with properties. Depending on the context, the annotations may be compulsory or optional. A compulsory annotation is such that memory space to store it within each particle is allocated at compile time to store it. As the name suggests, such annotations are mandatory in a given context. See section Compulsory Annotations for more details about compulsory annotations. As an example, one may consider the case of particles represented by 3D balls: annotating such particles with a radius is mandatory. See section Atomic Radii and Group Radii for more details. On the opposite, optional annotations are loaded on the fly – no storage reserved at compile time. Such annotations are typically used to further analyze the results of a SBL program. Optional annotations are dynamics, i.e. dynamically loaded using the option –annotations-file, while running the SBL program. Note that any number of annotations can be loaded just by repeating the option for each annotation file. As an example of optional annotations, one may consider solvation parameters, on a per particle (atom) basis. See section Optional Annotations for more details. A precise description of the annotation's system is described in the package ParticleAnnotator. The SBL relies on the Easy Structural Biology Template Library (ESBTL) to load the pieces of information contained in a PDB file into SBL data structures. The ESBTL library is highly adaptable when it comes to the input source format. It defines a hierarchical representation of a protein, from the whole molecule to each atom of the protein. Each level of the hierarchy is represented by a data structure, which may be replaced by a custom one. When loading the data from a PDB file, it is possible to define which fields of a PDB file will be used, and how the different data structures will be filled with these fields. the molecular atom : the bottom of the hierarchy, meant to represent an atom in a molecule; by default, all the fields stored in a PDB file are stored. the molecular residue : a container of molecular atoms representing a residue. In particular, it is possible to visit all the atoms in the residue. the molecular chain : a container of molecular residues representing a polypeptidic chain. In particular, it is possible to visit all the residues in the chain. the molecular model : a container of molecular chains representing a geometric model of a molecule or complex, a model being determined by a set of coordinates. For example, if the PDB file contains several NMR models, there will be as many ESBTL models. Given a model, an iterator to visit its chains is provided. the molecular system : the root representation. In the simplest setting, the root corresponds to the whole molecule or systems. But as seen earlier with labels, the molecule or complex may have been split into pieces, in which case, there are as many systems as pieces. Given a system, an iterator to visit its models is provided. (Advanced) There are subtle differences differences between the SBL and the ESBTL definitions of models and systems. In particular, the SBL has a notion of hierarchy for labels—which is not the case for ESBTL systems. Also, models from ESBTL are strongly coupled to NMR models, while those from the SBL are more general. The ESBTL offers also the possibility to visit the secondary structure elements (SSE) when they are available from the input PDB. The SSE are containers of residues accessible from the molecular chains. In particular, it is possible to query the type of the SSE according to the PDB nomenclature, or to visit all residues or atoms in the SSE. A space filling model is a molecular geometric model where each particle is represented by a 3D ball. Such models are of special interest to represent molecular surfaces and volumes, as well as interfaces. In the SBL, applications using space filling models are grouped in the Applications page Space Filling Model . In the sequel, we review some basic facts about these models. For a discussion of such models from the biophysical standpoint, the reader may consult  as well as  and the references therein. For a treatment of selected aspects of such models, -shapes in particular, the reader may consult . The boundary operator is denoted . For example, is exactly the sphere . Also, the boundary of the space filling model of is denoted . In a space filling model, the radius of a particle typically depends on the atomic type and on its covalent environment. In dealing with crystal structures, the radii may be adapted, depending on the presence or not of hydrogen atoms. When all H atoms have not been reported, which is in general the case, a common strategy consists of using so-called group radii: the group radius of one heavy atom accounts for its own size together with that of the H atoms it is covalently bonded to, see  . to set the radius of an input particle. For atoms, two group radii are available: from Chothia et al in 1975  (the default ones, available here), and from Tsai et al in 1999  (avalaible here). When using pseudo-atoms representing the residues, there is one radius per residue type. The radius of an amino acid is computed as the radius of a 3D sphere from the average volume of the residue  (available here). (Advanced) Space filling models are best studied using the }-complex. In the -complex, the simplices are tagged exterior, singular, regular, or interior. The case of 0-simplices i.e. vertices is of special interest. Indeed, depending on the atomic radii used, vertices corresponding to hydrogen atoms may be hidden or exterior. The first case corresponds to a hydrogen atom which does not have a Voronoi cell in the power diagram. The second one corresponds to a hydrogen atom which has a cell, yet, such that the restriction of this ball is empty. Such cases are rarely found and should trigger a careful inspection of the atomic coordinates. The Solvent Accessible Model (SAM) is a molecular geometric model where the particle radii are expanded by the mean radius of a water molecule (circa ). Doing so results in a space filling model, where particles nearby in 3D space, yet, not covalently linked, intersect. The Solvent Accessible Surface (SAS) of a SAM is the boundary of the balls defining the SAM. The SAS consists of spherical polygons, circle arcs (found at the intersection of two spheres), and vertices (found at the intersection of three spheres), as defined in the package Union_of_balls_boundary_3. The area of the SAS is called the Solvent Accessible Surface Area (SASA) . See also the Buried_surface_area package for more details. Using this model, the core and the rim of an interface are easily defined  : the rim consists of the particles retaining solvent accessibility in the complex, while the core consists of the particles which are buried in the complex. selected particles which are buried in their own sub-unit can be found at the interface. the binary partitioning into a core and a rim gets refined by a notion of depth (shelling order) which measures the distance to the boundary of the interface. In the SBL, topics related to conformational analysis are studied in the more general setting of energy landscapes . The SBL provides numerous tools to sample EL and study the resulting sets of conformations, as detailed in  and . Conformations and their representation in Cartesian or internal coordinates. We consider a macromolecular system involving atoms, the th-atom being denoted . The conformational space of the system is denoted , and its dimension . A conformation or sample refers to a conformation of the system. In Cartesian coordinates, each atom is attributed 3 coordinates (x, y ,z). In internal coordinates – also known as Z-matrix, see , the atoms of a molecule are rather described using bond distances between two atoms, bond angles between three atoms and torsion angles between four atoms – see Fig. fig-internal-coordinates . It is possible to switch from a coordinates system to another one by applying a transformation. However, each transformation requires an information that is not encoded in the original coordinates system. The four atoms are ; they are assumed to be non coplanar, and the covalent bonds are represented by bold line segments. There are three bond lengths represented by bold solid line segments, two bond angles represented by solid circular arcs, and one torsion angle represented by dashed circular arcs. Note that the torsion angle is the dihedral angle between the plane defined by and the plane defined by . The first atom corresponds to the origin of the coordinate system. Practically, its three Cartesian coordinates are set to zero. The second atom is at a fixed distance from the first one (their bond distance), so that there are two degrees of freedom left. Practically, one may set the x value to distance, and the remaining two coordinates to zero. Finally, the third atom is at a fixed distance from the second one, and makes a fixed angle with the first two (their bond angle). Practically, the and coordinates are inferred from these constraints, and is set to zero. Moving from cartesian coordinates to internal coordinates. Assume that the topology of the molecule (the bonds) is known. From this topology, internal coordinates can be computed for each bond (its bond length), for each pair of consecutive bonds (their bond angle), and for each triple of consecutive bonds (their torsion angle). The class SBL::CSB::T_Molecular_internal_coordinates allows to compute individually each bond length, bond angle and torsion angle. The previous description assumes an atomic model, as coarse grain models require dedicated rules. For example, when the molecule is a protein represented by a coarse-grain model with only , the topology is trivial, as the only bonds are those defining a path connecting consecutive carbons. Comparing conformations. In general the distance between two conformations is denoted . A default choice is the least root mean square deviation ( ), namely the square root of the average squared distance deviation in atom positions, minimized over rigid motions of the system. The with chirality may also be used. In investigating energy landscapes, a pitfall must be mentioned: two conformations may be separated by relatively small distances, yet separated by large or even insurmountable (enthalpic) barriers. Sampling. In the context of the SBL, a sampling refers to a set of conformations. It may also be called a conformational ensemble , even though it does not carry any statistical property. A conformational ensemble , also called sampling is a set of conformations, that is . Whenever a local energy minimizer is available, that is, when the conformations can be quenched, the associated set of quenched conformations is denoted , that is . Once a one-to-one correspondence between the atoms of and has been set, aligning onto requires computing the rigid motion yielding the least root mean square deviation between and . A nearest neighbor graph (NNG) of conformations is a graph whose vertices are conformations, with edges joining selected pairs. That is, a NNG connects conformations in the configuration space of the system studied. We use NNG in two guises. First, we build a NNG by connecting a sample to its nearest neighbors. Second, we build a NNG by connecting a sample to all samples of the ensemble within a given distance . The height function is a mapping from the conformational space to the real numbers. Given a fixed elevation , the portion of the landscape located below (resp. above) the elevation is called a sublevel set (resp. super level set ). A typical case is that where represents the potential energy of a molecular system. In that case, the landscape obtained is called the potential energy landscape (PEL). The potential energy of a conformation is denoted . Critical points and their connexions. If the gradient of the height function vanishes at , the conformation is called a critical point or stationary point . Practically, we shall deal with two types of critical points: local minima, and index one saddles (saddles for short). The function value at a critical point is called the critical value. 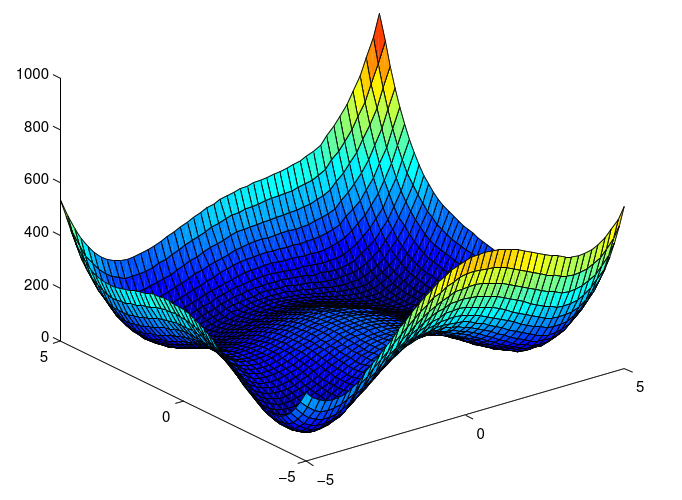 Consider the index one saddles connected to a given local minimum, and for each such saddle, consider the elevation drop between the saddle and the local minimum. The saddle (if any) of lowest elevation drop leading to a local minimum of lower energy is called the key saddle . If is not a critical point, quenching consists of (numerically) following the negative gradient until a local minimum is found. In this case, there exists an integral curve of the gradient vector field joining to , and one says that flows to . Our definition of landscape does not embed a move set (see definition bln-movesets), used to generate new conformations of the system. Move sets are typically used in cunjunction with exploration algorithms, though. See package Landscape_explorer. Discrete representations involving samples. Various constructions can be carried out by combining samplings and energies. A lifted sample is a sample equipped with a real number, called its height. When this number represents the potential energy, a collection of such samples is called a sampled energy landscape. Also, using the connectivity of a NNG to connect lifted samples results in a lifted NNG. For example, if the height is the potential energy, the lifted NNG defines a network on the PEL. Discrete representations involving critical (i.e., stationary) points only. Of special interest on a landscape are the local minima and the transition paths connecting them. In the smooth setting, a transition between two local minima corresponds to the existence of an integral curve joining the saddle to the minimum. More specifically, in Morse theory , these curves define the so-called unstable manifold of the saddle. Generically, two such curves are found for each saddle – note however that they may end up in the same local minimum, a situation we refer to as a bump transition (Fig. fig-bump-middle-slope-bassin). A transition graph (TG) associated with a landscape is a graph whose nodes are minima and saddles, with one edge between the minimum and the saddle if there exists a direct transition path with another local minimum. A compressed transition graph is a TG where the two edges emanating from a saddle are merged. Note that in a compressed TG, all vertices correspond to local minima, while every edge corresponds to two minima which are connected through a saddle in the TG. As we shall see, such compressed graphs are useful to derive a number of properties of EL, and also to compare them. Given a transition graph, consider the bipartite graph whose vertex sets are the local minima and the index one saddles, and whose edges correspond to the connexions minima-saddles. This bipartite graph is called the restricted Morse-Smale-Witten chain complex (MSW complex for short) of the landscape. In computational topology , the MSW complex is the mathematical object allowing one to efficiently compute the homology of sublevel sets of a manifold, from a function defined on that manifold – in our case the conformational space and the energy. The MSW complex involves critical points of all indices, but for energy landscapes, we shall mainly use local minima and index one saddles. Practically, our MSW complexes shall in general be associated with molecular data generated by some simulation - exploration method. The MSW complex used might be incomplete if, for example, the exploration method missed saddles (transitions) between local minima. the internal nodes correspond to the key saddles. there is one edge for each key saddle, connecting the basins associated with its two local minima. 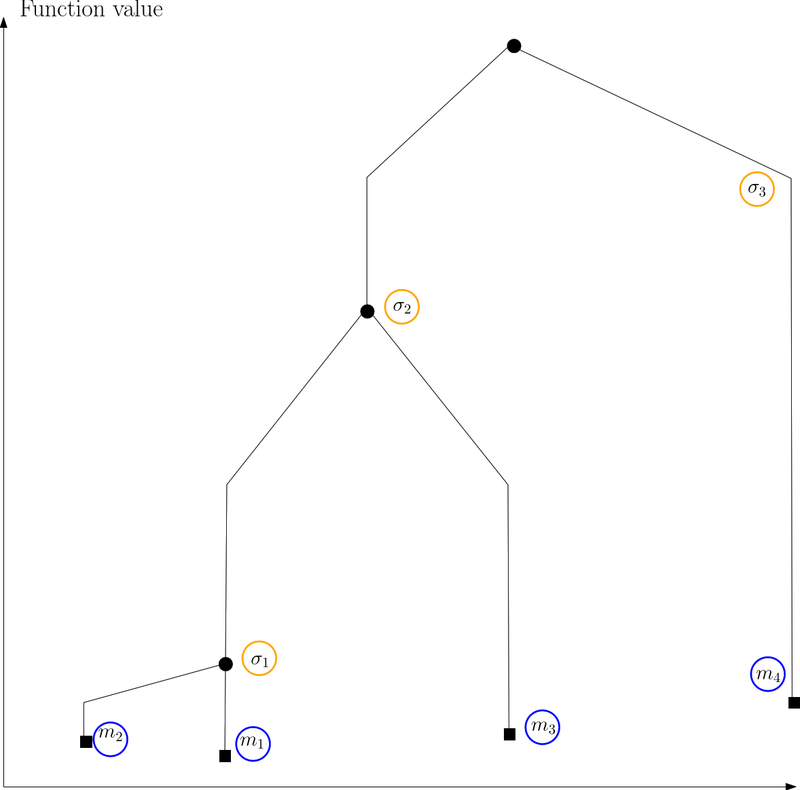 The forest associated with a DG has a single tree when the TG is connected. Generically, in the context of smooth Morse theory, a key saddle is linked to two local minima, which may coincide. Practically, degeneracies where the key saddles is linked to more local minima may be encountered. 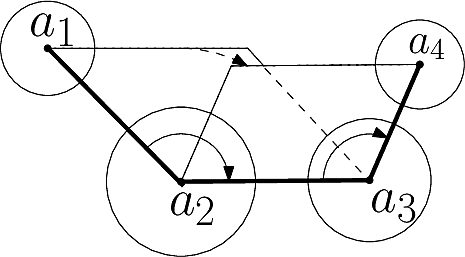 When DG are simplified using energy slices, several key saddles may be merged. comparisons: see package Energy_landscape_comparison . Note that the dotted path is located behind the bump of this fictitious 2D landscape. The function is defined by: . It has four local minima, four index one saddles, and one local maximum. (A)The landscape of Himmelblau, decomposed into the catchment basins of the four local minima (B)The transition graph, with one node for each critical (i.e., stationary) point (C)The compressed transition graph, where the information associated with saddles is stored in the edges joining local minima. The persistence of the global minimum is infinite, since this particular minimum does not possess a key saddle. Persistences, sometimes referred to as prominences, are labelled here. Loading structures and geometric models consists of converting structures and geometric models stored in a file into main memory data structures. In the following, we will detail the information contained in the different loadable file formats, and in which contextes they can be used. The files (first row) containing the data are loaded using loaders (second row) into internal data structures. Then, builders transform these internal data structures into data structures (third row) that are usable by the different components of the SBL. Depending on the context, these data structures may be defined by different models (last row). In the SBL, the PDB files are loaded into C++ data structures using the class SBL::Models::T_PDB_file_loader: this class uses the (ESBTL) for parsing PDB files and uses parsimonious data structures to store the hierarchical information contained in a PDB file. See the documentation of the class SBL::Models::T_PDB_file_loader for a more detailed description of the available options. A molecule loaded using the class SBL::Models::T_PDB_file_loader is represented by the ESBTL class ESBTL::Molecular_model . Two comments are in order. Multiple models. First, if a molecule is represented by several models in the PDB file, one instance of ESBTL::Molecular_model is created for each model. It is possible to access to these data structures using the method SBL::Models::T_PDB_file_loader::get_geometric_model . Conversions. Depending on the context, the PDB format may have to be converted to a different data format, using a builder. Such a class takes as input an instance of ESBTL::Molecular_model, and fills an output data structure dedicated to a particular context. For example, in Work Package: Space Filling Models, the data structure can be a container of particles, each particle being represented by a 3D ball – see SBL::Models::T_Atom_with_flat_info_traits::Atom_with_flat_infos_builder . In Work Package: Conformational Analysis, the data structure can be a conformation, that is represented by a D-dimensional point – see SBL::Models::T_Conformation_as_d_point_traits::Conformation_as_d_point_builder . can be loaded using the loader SBL::Models::T_Spheres_3_file_loader . The class SBL::Models::T_Geometric_particle_traits defines a particle reduced to its geometric representation. Then, it is possible to annotate these geometric particles using the annotators provided by the package ParticleAnnotator, as explained in section Decorating Models . can be loaded using the loader SBL::Models::T_Points_d_file_loader . The class SBL::Models::T_Geometric_conformation_traits defines a conformation reduced to its geometric representation. When using the programs of the SBL, one may want to decorate the particles of the input molecule(s) to analyze the output as a function of some properties. For example, to compute the ratio of buried residues in a protein that are hydrophobic, one may use the program . The output provides the exposure of each atom, each atom being decorated by the residue containing it. However, the hydrophobicity of a residue being not available from a PDB file, one has to add this information. The SBL offers the possibility to annotate dynamically the particles of a molecule with user-defined properties. The term dynamical refers to the possibility to load new properties when starting the program, and to decorate each particle with this new property. It is opposed to static that refers to properties that are already decorating the particles, but that can be modified (e.g, the atomic group radii). Therefore, an atom that is reported in an output file will be reported with all its annotations. For more details on annotations, see the package ParticleAnnotator. "the term serialization means the reversible deconstruction of an arbitrary set of C++ data structures to a sequence of bytes." The file containing this sequence of bytes is called an archive. There are three main file formats for an archive: plain text, binary and XML. to analyze the output of programs from the SBL, and compute statistics, in particular using the package PALSE . some data structures may be too heavy to be stored within a single archive – see section Multiple Archives Serialization . While the serialization is a powerful framework for saving and loading data structures, it is not always possible to do so due to the complexity of some data structures. In the following, we introduce the terminology to handle such cases. Given an instance a of a data structure A, the lifetime of a is the interval of time between its creation and its destruction. A is hierarchical iff A is not flat. Consider the class SBL::Models::T_Atom_with_flat_info_traits::Particle_type representing an atom: an instance of this class contains only attributes that are initialized when the atom is constructed and get destroyed when the atom is destroyed : this class is flat. Consider the class SBL::Models::T_Atom_with_hierarchical_info_traits::Particle_type representing an atom: an instance of this class contains a reference to the residue containing this atom. The residue is created before the atom, and is destroyed after the atom is destroyed : this class is hierarchical. In order to serialize an atom as in the previous example, one has to serialize the residue containing it. The process may be recursive, unwinding the hierarchy residue > chain > model > molecular structure. A borrows B iff A has an attribute of type B that is not destroyed when A is destroyed. A is hierarchical iff A has an attribute of type B such that A borrows B and B owns A. A is hierarchical iff A owns B, B borrows A, and B has an attribute of type A. A is flat iff A is not hierarchical. Hierarchical data structures occur when a part of the data structure references the whole data structure itself–a dependence hindering the serialization. For example, in the previous definition, let A be a residue and B be an atom: the residue has a list of atoms, and each each atom references information on the residue. Thus, to serialize the atom, the whole residue must be serialized too. A data structure is termed partially serializable when it cannot be serialized because it is hierarchical. In other words, when the data structure in memory is saved into a file, the pieces of information saved are not sufficient to reconstruct the data structure in main memory from that file. In our previous example, the atom will not be able to access the information on its residue. Partially serializable data structures use also the Boost Serialization for saving data : the only difference with serializable data structures is that they cannot be loaded from a file. Note that if A is a hierarchical data structure because of a data structure B, there is no reason for B to be hierarchical. For example, an atom is hierarchical because it references the residue it belongs to, that references its polypeptidic chain, that reference its geoemtric model, that references its molecular structure. The molecular structure is flat because it makes no reference to a data structure that contains it. In order to serialize an atom, one has to fully serialize the molecular structure it contains. The notion of hierarchical serialization should not be confused with that of multiple archives serialization, which merely consists of splitting the information into multiple archives. Another problem encountered in serializing data is the amount of information contained within an archive. For example, an archive listing the atoms of a molecule contains all the properties of the atom in order to reconstruct in memory this atom. However, when analyzing the output of a program of the SBL with PALSE, the different analysis may not require all the pieces of information contained in the archive. As a second example, consider an archive listing thousands of conformations of a molecule involving of the order of one thousand atoms: the corresponding archive contains millions of lines and is hard to navigate through. the secondary archive contain all the heavy information, each piece being indexed, so as to be accessed from the first archive. Consider the program , which outputs a list of atoms, each endowed with information on its contribution to the surface area and volume of the molecule. The main archive consists in a list of indices together with the main contributions of each atom to the aforementioned surface area and volume. The secondary archive consists in the list of atoms (with the pieces of information contained say in the input PDB file), each with an associated index. Usually, only the information in the main archive is used for further analysis, in particular with PALSE : for that reason, the main archive is generally in XML format. Subsequently, there is no particular requirement for the type of the secondary archive. In fact, if the data structure is not to be loaded by another program of the SBL, there is no need of a secondary archive. Some pieces of information stored in the secondary archive may be necessary to complete some analysis in conjunction with the information contained in the main archive. In that case, to avoid loading the secondary archive, we provide mechanisms to duplicate such pieces on information in the main archive. by providing only the path to the main archive, in which case the information that is not in the main archive is lost. In the last case, the data structure cannot be loaded since the information is lost. Loading from multiple archives. The class SBL::IO::T_Multiple_archives_serialization_xml_iarchive provides functionalities to load a serializable data structure from multiple archives. The only way to load a serializable data structure is to specify the path to the main and secondary archives when constructing an instance of SBL::IO::T_Multiple_archives_serialization_xml_iarchive . For more detailed information on multiple archives serialization, see the package Multiple_archives_serialization .